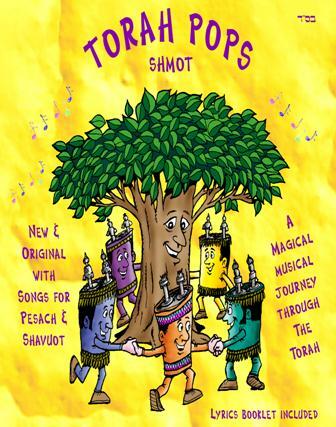 TORAH POPS - SHMOT on CD. Full reference to chapter and verse in Shmot. Introductory passages to gain the interest of children and for use as a teaching aid. Clear, easy to learn lyrics. 10 Can you name a din? Very important: Please when comparing prices to other products, please compare the newness, and unique quality difference of this disk. Please don't compare this to a home made, voice over of known melodies... this is all new journey through the parshiot, of high educational value that parents and teachers will also enjoy. If you purchase and are not satisfied with the value for money, we will refund you. * Ask about wholesale pricing. I would like to place an order - Have a salesperson contact me. Send quotation/offer to sell - on-line Credit card payments. this is not a secure server. You may use your credit card via the "Buy" button, above. "request-for-payment" quoting you the price incl. postage. where you can make your payment. We will then immediately ship your goods.